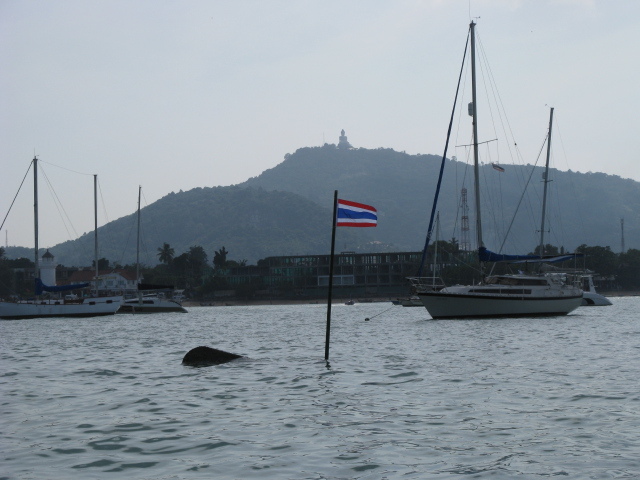 Please note within Chalong Bay there are two sunken wrecks in shallow water, one is in the mooring area near the club; when transiting by dinghy from anchorage to shore care should be taken in as this wreck is submerged except for springs low, Brent has marked this wreck with 2 bamboo poles with Thai flags there are no night marks, it is lying North to South , the poles mark either end. The second hazardous wreck is near the fueling jetty; part of bridge deck is visible at high tide , expected to part this high season. Safely ashore you will face an even more dangerous navigational hazard: now open the Sand Bar; the club’s new premises are open to all to have a cold beer, this includes dinghy moorings for visiting cruising sailors right outside the club, our club premises are within easy walking distance of fuel, water and Villamart shopping mall. 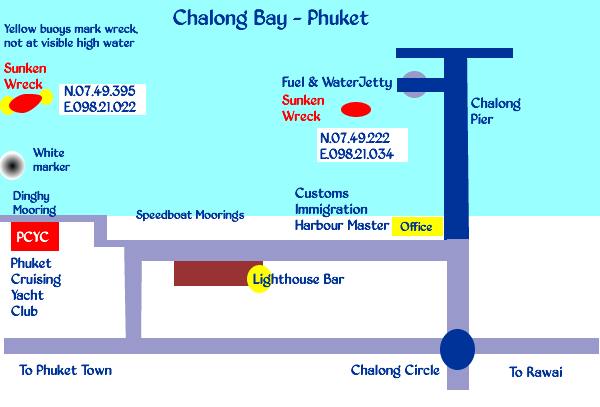 Our club is also within walking distance of the one-stop customs immigration office situated at the west end of Chalong pier. For your information: additional charges apply at immigration and customs at weekends and on public holidays, you may wish to time your arrival to avoid these additional charges. 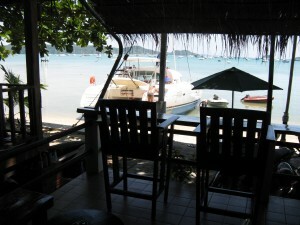 PCYC club premises are very convenient and a great spot to moor your dinghy or to stop for a cold beer after your voyage. Brent has installed lighting in the dinghy area to improve security: it is also a source of local knowledge that can save you a lot of time money and effort when you arrive. 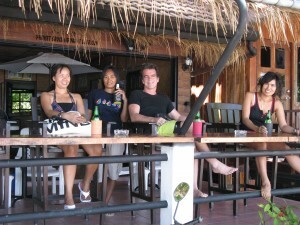 Meals can be ordered at the bar: this gives club and visitors an excellent choice of cold beers, and European and local Thai food.